Fashion always seems to surprise me. I never thought I’d see the day when bell-bottom pants made their way back into the limelight. But then again, trends that go out of style eventually circle around and find themselves back on top, right? 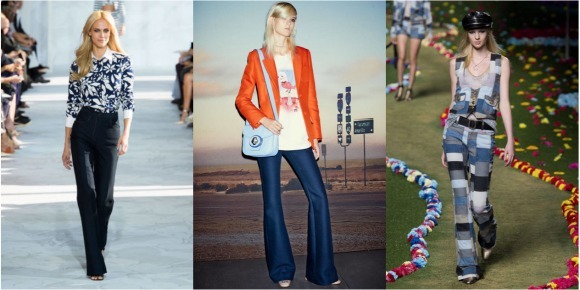 So what is causing this spring’s bell-bottoms trend? The ’70s revival. Spring 2015 runway shows were filled with pieces inspired by the era. Classic flared pants were seen everywhere from Gucci to Acne, thus making it a huge trend this season. 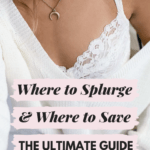 Check out these three outfit sets below that will convince you to add a pair to your spring wardrobe! Since music festival season is fast-approaching, play up the ’70s vibe of this trend by channeling your inner hippie. Flared denim goes perfectly with a ruffled top, a fringe book bag, and platform sandals. You can’t do 70’s bell-bottoms without a few boho touches, so accessorize with a flower statement necklace and round sunglasses to complete the ensemble. Dress to impress for class in this power outfit. Tuck a button-down shirt into flared pants, then add a blazer over top to create a business casual look. 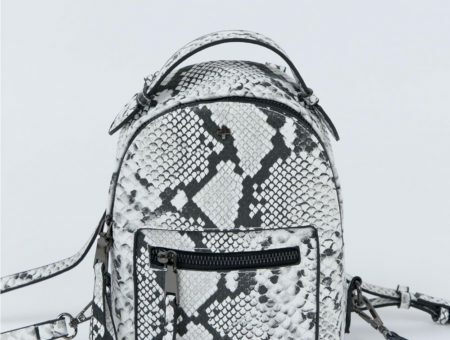 Add a sleek bag and some cool shades to give off that “girl power” vibe. 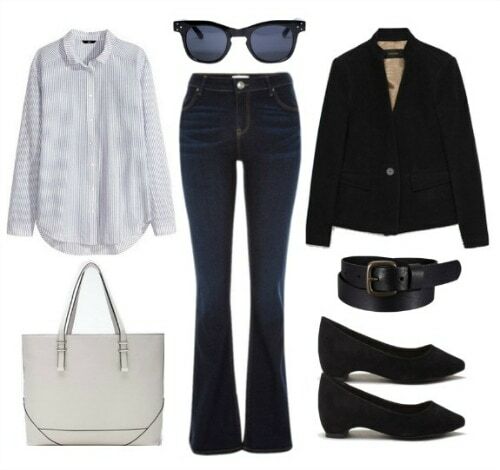 Elongate your legs by pairing your bell-bottoms with sleek, black pumps. 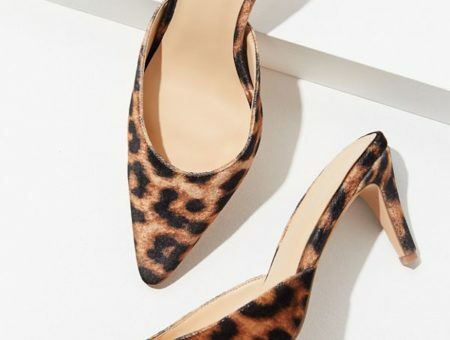 However, if you’re a flats kind of girl, neutral-colored flats work, too! Denim is anything but ordinary this season, and the key to rocking double denim is to pair two different shades of denim. 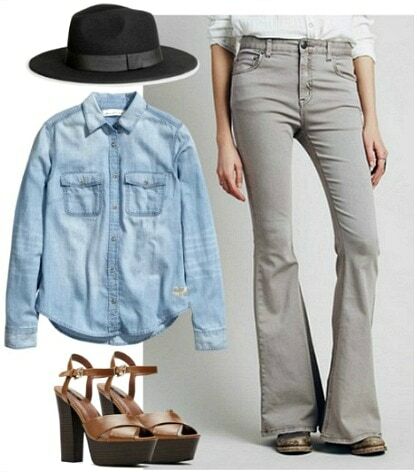 For this look, wear a chambray shirt with flared jeans to give your outfit a western feel. Accessorize with a felt hat and add a pair of platform sandals. This casual outfit is perfect for a weekend hangout. 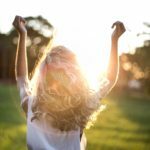 It’s time to go to the mall, the thrift store, or even your mother’s closet because bell-bottoms are back on-trend. 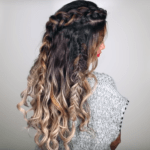 Will you be sporting this spring trend? How would you style bell-bottoms? Let us know what you think by commenting below! Previous Would You Wear… Marsala?